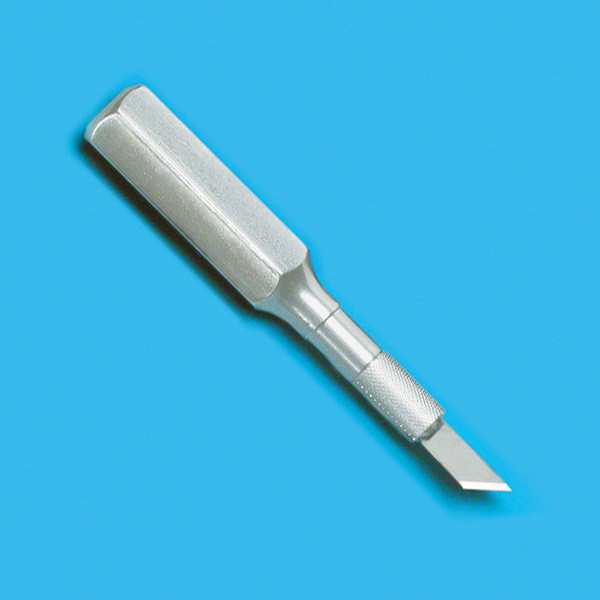 4-3/4 inch solid aluminum handle for heavy pressure cutting. Hex handle prevents rolling. Includes one no. 19 blade.